Galbraith has proudly been providing commercial design/build services to clients in the Altoona, Pennsylvania area for several years. Altoona is a city in south-central Pennsylvania Blair County, located in the heart of the emerging I-99 Innovation Corridor. Altoona has a rich railroad heritage and is now home to many railroad attractions as well as a variety of cultural experiences. The city’s prominent landmarks include the Horseshoe Curve, the Penn Alto hotel, the Railroaders Memorial Museum, the historic Mishler Theatre built in 1902, and the Cathedral of the Blessed Sacrament. The Downtown Altoona Historic District, comprised of buildings dating from the 1860s, represents the core of the city’s civic, commercial, and social activity, reflecting the middle class working community that has lived there for more than a century. The city is also home to the Altoona Curve baseball team of the Double-A Eastern League, which is the affiliate of the Major League Baseball team Pittsburgh Pirates. 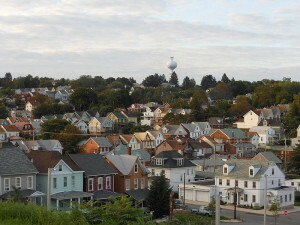 Some of Altoona’s significant neighborhoods are Little Italy, Gospel Hill, Toy Town, Columbia Park, Knickerbockers, and Curtin. Many of the older districts consist of a mix of rowhomes and individual homes, which were a common building style in railroad towns in order to provide for worker and manager housing, respectively. At Galbraith, we pride ourselves on our customer service. Too often, commercial contractors or designers will take a cookie-cutter approach to their projects and use cheap materials or outsource work to unqualified subcontractors. We believe that every project should be tailored to the owner’s goals and specifications without cutting corners. Our wide breadth of project experience and specialty expertise lets us assist our clients in the Altoona area with land acquisition and site development, planning and design, tax abatement and financing and adhering to regulatory guidelines and local stipulations, all while finishing our projects on time and on budget. Our team of experts focuses on preventative problem solving and proactively managing projects so we minimize potential issues, project change orders, and unforeseen costs. Contact us today for your initial consultation so we can discuss your project and understand your plans. We will schedule a time to meet with you, discuss your ideas, and then design and build the perfect building for your specific business needs. With Galbraith, you always receive a job that is completed to your full satisfaction, in a timely manner, and within your established budget.